Home neurology Try ultrasound for your next lumbar puncture! 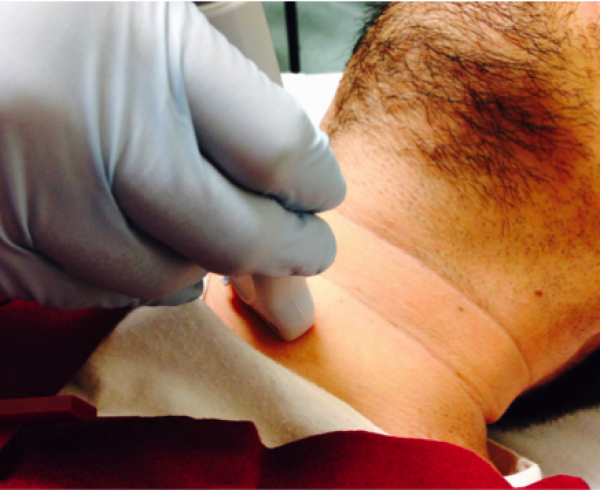 Ultrasound can assist in determining the best site for lumbar puncture. Here is how to do it! 1. Palpate for the superior iliac spine as you would for any lumbar puncture, and find the approximate area of L3-L4 or L4-L5. 2. Using a linear probe for thin or pediatric patients (or a curvilinear probe for larger patients), position the probe in a transverse direction relative to the spine. 3. Identify spinous processes as hyperechoic with a white convex rim and an anechoic shadow. 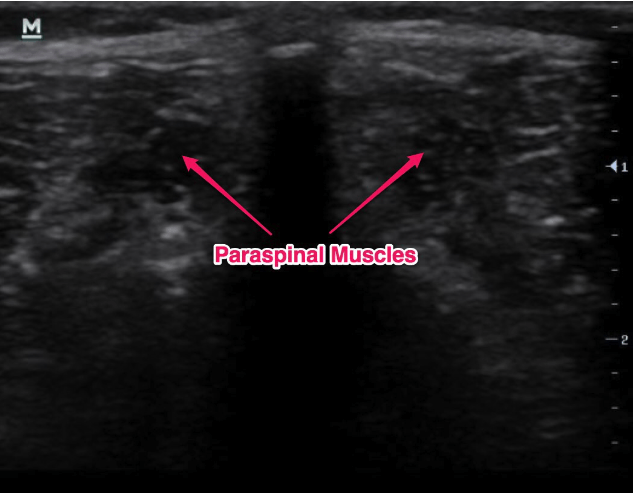 Paraspinal muscles can also be identified as hypoechoic circular bundles lateral to the spinous processes. 4. Mark two of the spinous processes to identify the midline of the spine. Draw a straight line between the two points. 5. 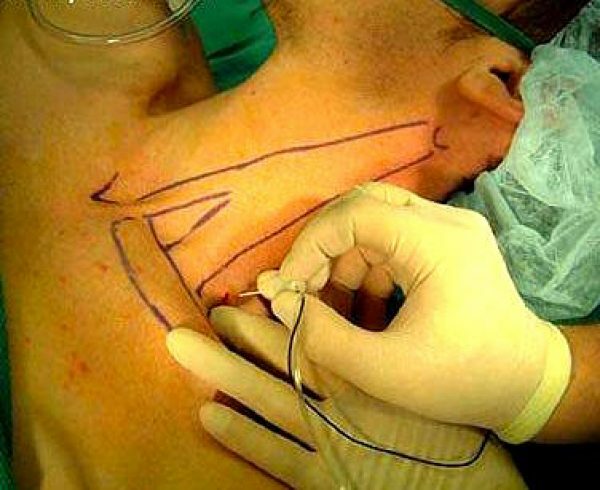 Rotate the probe so it is longintudinal, and identify the intervertebral space. 6. Mark above and below the probe while centered over the intervertebral space. Draw a straight line between the two points. 7. 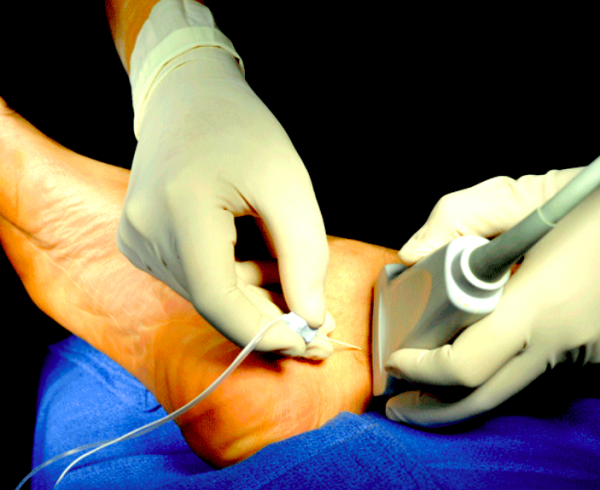 Measure the distance on the ultrasound machine from the skin to the epidural space and approximate the angle the needle must travel. This will assist you during the procedure. 8. The intersection of your two lines will be over the intervertebral space and in the midline. This will be your best approximate for where to do the puncture. You may need to start slightly below this area and angle upwards with the needle to target the intervertebral space below. Immediately after drafting this post, I was coincidentally asked to help with a lumbar puncture in the department. We used the ultrasound to assist with landmark identification and got a clear appearing tap. Try it out! Alerhand, Stephen. “Ultrasound for Lumbar Puncture: how to maximize first-pass success in patients with large body habitus.” Emdocs. Published 15 Nov. 2014. Accessed 24 Jan. 2017. 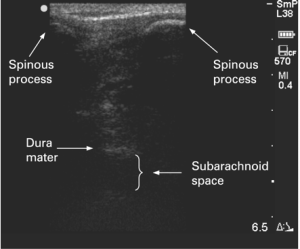 <http://www.emdocs.net/ultrasound-lumbar-puncture-maximize-first-pass-success-patients-large-body-habitus>. Ferre, Robinson M., and Timothy W. Sweeney. “Emergency physicians can easily obtain ultrasound images of anatomical landmarks relevant to lumbar puncture.” The American journal of emergency medicine 25.3 (2007): 291-296. Kim, Stephen, and David K. Adler. “Ultrasound-assisted lumbar puncture in pediatric emergency medicine.” The Journal of emergency medicine 47.1 (2014): 59-64. Marin, Jennifer R. “Ultrasonography for Infant Lumbar Puncture: Time to Pop the Champagne?.” Annals of Emergency Medicine, in press (2017). Available online 19 Jan. 2017. Accessed 24 Jan. 2017. <http://www.annemergmed.com/article/S0196-0644(16)31385-3/abstract>. Murphy, Michael, and Arun Nagdev. “Focus On: Ultrasound Guided Lumbar Puncture.” ACEP News (2007): 23-25. Nagdev, Arun, et al. 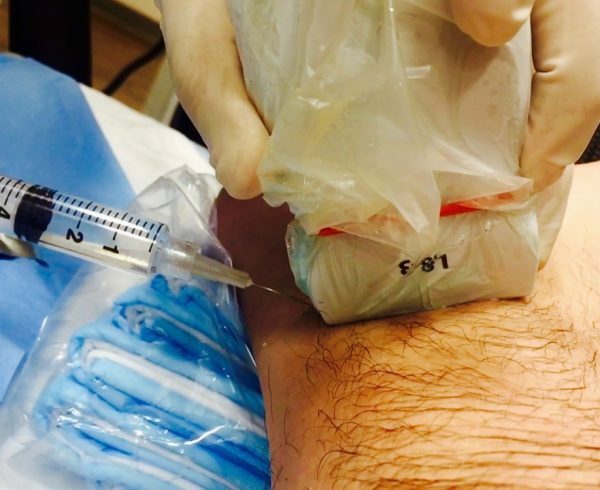 “How to Perform an Ultrasound-Assisted Lumbar Puncture.” ACEP Now 33.7 (2014): 20-21.